Next year (2019 in case you still think that we're in 2017), the current 802.11ac Wi-Fi standard will be replaced by the new 802.11ax that will offer faster internet speeds. What's holding it back for this year are delayed product certification. The certification is done to give consumers the confidence that the device they purchased will indeed work with the new standard. 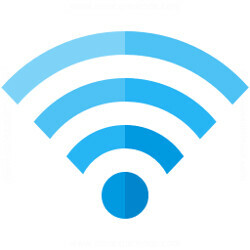 You've seen us in the past show you the Wi-Fi certification awarded to a new device by the Wi-Fi Alliance. That is exactly what we are talking about. Some tech firms are ahead of the game. ASUS, for example, has announced a new router that supports 802.11ax. Certain chips from Intel to be released this year will support the new standard. While we might see a few more compatible products announced, the majority won't be unveiled until the Wi-Fi Alliance issues final standards, and certification is more wide spread. Besides running data at faster speeds than the current standard, 802.11ax is designed to improve internet connectivity in public areas where many different devices connect to a particular hotspot. These are usually found in hotels, ballparks, airports, restaurants and other similar locations.